With the Holidays rapidly approaching and the economy still in the dumps, there are millions of households that are looking to save a little money this Holiday season. The most important thing to remember is that the Holidays are all about feelings, and not about money and material things. Technically, all Holiday spending is unneccessary. With that said, you don’t need to skip all of your traditional celebrations and gift giving to really save money and have a low budget holiday. Here are some tips on how to lower your budget during the holidays. In most households, gifts are the most expensive part of their holiday budget. After all, many people buy gifts for their spouse, children, parents, nieces and nephews, friends, relatives and even for mail carriers, teachers, housekeepers and neighbors. Gift giving can often get out of control. Especially if you watch too many commercials and start thinking that your wife “needs” an open heart necklace from Kay Jewelers or that new Lexus with the bow on top. Of course I’m kidding about that, but I’ve found that when I can’t come up with a thoughtful idea, I often spend more money than I planned to make up for my lack of ideas. Here’s where being creative can help you reduce the costs of gift giving, and here are some of the ideas we have to help lower the cost of gifts. Most people don’t expect gifts and won’t even notice if you don’t give them one. Stop gifting some of these types of people, and you know the people I mean. Also, if you have a large family and the tradition is for each person to give a gift to every other person, then you should try to change that tradition. Some options are to draw names so that each person only buys a gift for one other person, or if you want, you can puch each persons’ name in the bucket twice and each person will get two gifts. Another option is to get rid of gifts for the adults, and keep giving gifts to all of the children in your family. Children’s gifts are usually less expensive, and the kids really enjoy them much more than adults. A third way to lower your holiday gift budget is to reduce the number of gifts that you give to each person. I’ve seen families that give each child close to twenty gifts. After so many gifts, even the best of kids will experience diminishing returns on their excitement level. Find the right number of gifts for your family that meets your budget and still makes everyone happy. An expensive gift is not always the best gift. Sometimes people get carried away with their gift giving and try to outdo themselves each year. After all, if you buy someone a one thousand dollar present one year, they may come to expect it next year. Don’t get carried away with expensive gifts and let it hurt your holiday budget. You can reduce the amount of money you spend on each gift in several ways. First, make sure you always shop around for the best deals. This usually means being smart and using tools like the apps for your phone or researching prices on the Internet to find the best deal. Shopping around and being resourceful can save you quite a bit on your holiday gifts. Second, being creative and making gifts yourself can also help with a low budget holiday. We’ll cover that in the next section. Also, just plain cutting back on your gift spending can really make a difference. Agree with your spouse or other family members to spend less money per gift by setting up a price range that everyone can agree to and stick with. Thoughtful gifts really depend on who your buying them for. It’s important that you spend a long time thinking about that person in order to find something that will really cherish, and for a reasonable price. After gifts, the food budget is probably the next highest cost of the Holidays. Here are some ways to survive the high cost of food during a low budget holiday. First, find ways to buy less food. Instead of hosting dinners and get togethers and supplying all of the food, host potlucks or let others host some of the get togethers. This can save quite a bit on food. Second, have you ever gone through a holiday season without throwing away several pounds of candy or sweets? This year, make less and buy less sweets. It will save you money and save you time at the gym. Finally, lower food costs by switching to less expensive foods. Instead of buying prime rib at $14 per pound, buy a turkey for around $1 a pound. Don’t buy all those premade and fancy looking dishes and salads that you could make yourself for less than half the price. Hosting parties is another big expense around the holidays. If you’re having low budget holidays, there are many ways you can reduce your party expenses. Drinks are perhaps the biggest expense. Consider a keg of beer instead of buying a full cocktail bar, and have people bring their own if they want something else. Or have a theme party where each person brings part of the drinks. For example, you could host a wines of the world party and designate each person with finding a wine from a specific region. Feel free to ask others to bring things. Most people feel better about a party if they get to contribute, and it can save you money. Other ways to save on parties is to keep the decorations simple. Buying fresh wreaths, flowers and expensive holiday themed plates and glasses can run up a party bill significantly. 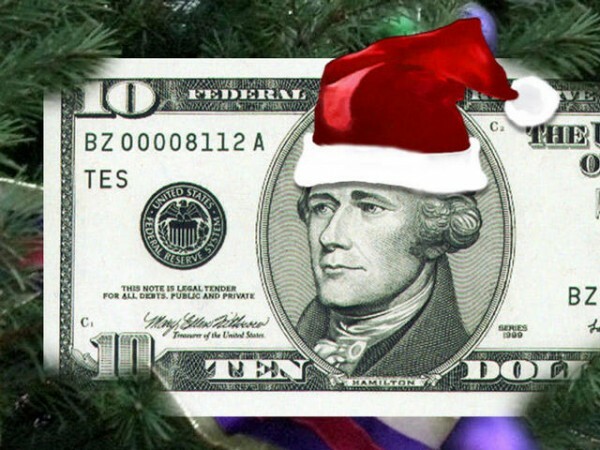 There are many other ways to save money during the holidays. Start by saving on your holiday cards. If you’re handy with the crafts, try making your own. If your not handy, a nice photo can serve as a holiday card and can be bought for a few cents per picture. When it’s time to send your cards, feel free to reduce your list every few years to the people that you’ve been sending cards to but no longer keep in touch with. Don’t worry, you can still keep up with them on Facebook. Also, when its time to deliver the cards, consider hand delivering the cards to your neighbors and other people close by. It is much more personal and can save you money on envelopes and stamps. Other ways to save money include such things as selling some of the toys from a previous holiday to help fund the new gifts. Also, instead of going to the mall to sit on Santa’s lap and paying $20 for a picture, get in your car and drive around town and look at all of the Christmas lights. Have an idea about how to save on holiday costs? Let us know by adding your comment below. It’s always been hard for me to save money around the holidays. The cold weather brings higher heating costs, unexpected vehicle maintenance etc. You have some good ideas in this post. This year we are only gifting to the children. Thanks for sharing such a useful information. The information provided is very very niche. I was just surfing on internet and found your blog after reading this i realize that i should come here often. Thanks for 6 main key points. actually It would be very hard for me to save money on Holidays. But the points which you explained, I think if I use your strategy defiantly I can save money. Thanks for sharing the valuable thoughts with us. Well here is my secret on saving money for holidays. I was very lucky to find this wonderful cash back program ,it isn’t a credit card or any fees involved. accumulates I have an amount to use towards my Holiday shopping! popular stores and I am enjoying it!